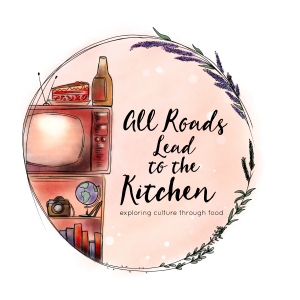 Luxembourg is the eighth stop on our (alphabetical by dish) Culinary Journey through Europe - and I am super excited to be the host on this stop! 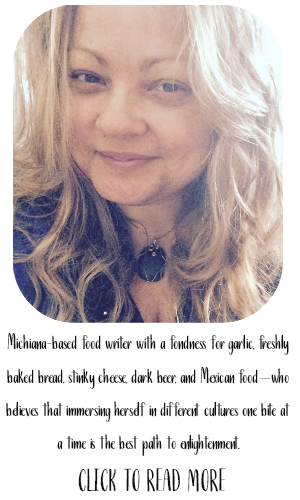 I first discovered this group through one of my fellow Cook the Books hosts, Simona. It sounded right up my alley - a journey through Europe, doing a little mini-study on each country. Although life got crazy and the train has whizzed right by some of the countries for me (I did make the stops in the Netherlands and Slovakia), I'm so happy to be giving you a quick glimpse of this breathtakingly beautiful country! Seriously, I didn't know much (okay, anything) about Luxembourg until now. But, oh, how I wish I could set foot there for real one day soon. Especially the Moselle Valley...by all looks, I could make a life there! Climate: Luxembourg enjoys a temperate climate with no extremes, thanks to the influence of the sea traveling over the lands to Luxembourg. May and June are the sunniest months, but July and August are the hottest months. The end of the year brings cold weather and snow. The best time for a vacation to Luxembourg would be from May through Mid-October when the most pleasant temperatures prevail. 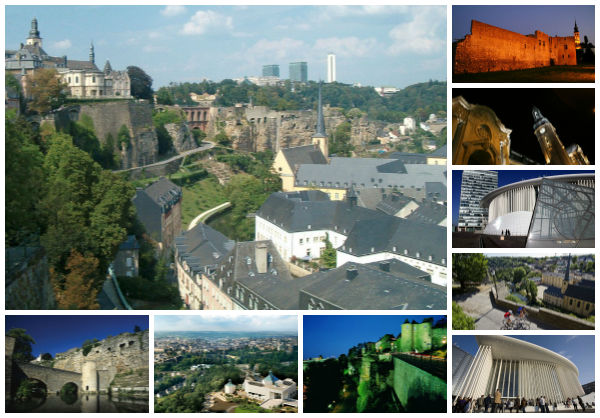 Luxembourg City: Although Luxembourg itself is a small country, its capital, Luxembourg City, is full of life and culture. It is home to at least 150 different nationalities, which contribute to its eclectic mix of creative, multicultural programs and activities. You can find museums, theaters, and concert halls in the city, as well as an abundance of green spaces like parks and gardens. Sitting alongside historic monuments and ancient fortresses are hi-tech buildings and contemporary architecture. It is also part of the UNESCO World Heritage. 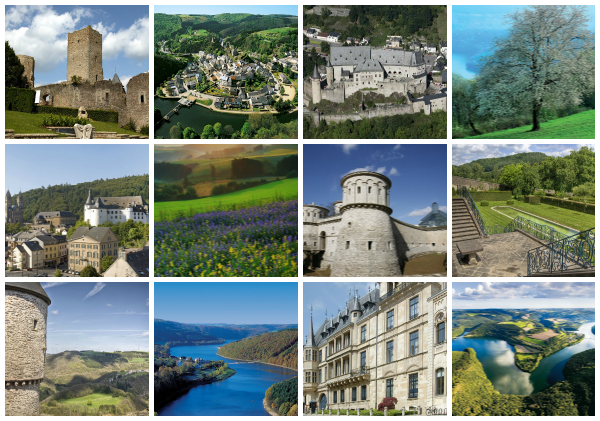 North Luxembourg: Picturesque villages, forests, medieval ruins and fortifications, winding valleys, and scenic highlands - as well as hiking and cycling trails that allow you enjoy all of that, make Eisleck or Oesling (the Luxembourg Ardennes) a destination spot! 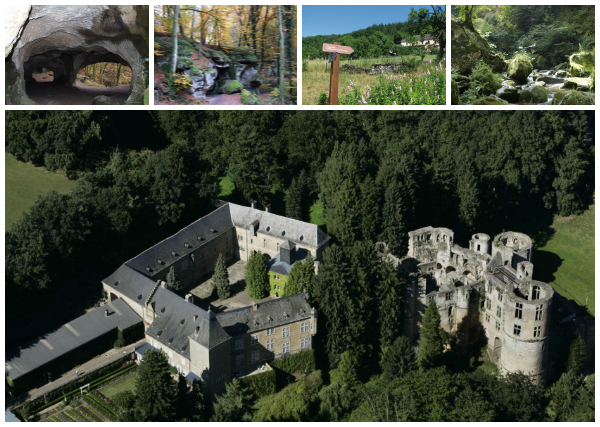 Visit castles and nature reserves (Naturpark Our or Naturpark Oewersauer), or parks dedicated to mountain biking or Nordic walking, hike the length of the Sure, the Wark, or the Alzette and be amazed by sculpted landscapes and rock formations. In this area you will also find markets, outdoor performances and concerts, and even medieval revival festivals! Mullerthal: Often referred to as the Little Switzerland of Luxembourg due to its unique rock composition and soil erosion that have created a landscape similar to that of Switzerland. This area contains attractions such as The Benedictine Abbey of Saint Willibrord, and a Roman Villa. The Mullerthal Trail spans 110 kilometers of stunning valley trails that can be hiked by one with experience. you would find rock formations and footpaths that will lead you through fields and forests, as well as opportunities for walks that are a bit more tame, offering numerous views of breathtaking proportions. Here you will also find rich, local cuisine based on honey, cheese, and liqueurs, as well as first-class restaurants serving "refined" dishes in the natural environment of the Lower Sure valley. 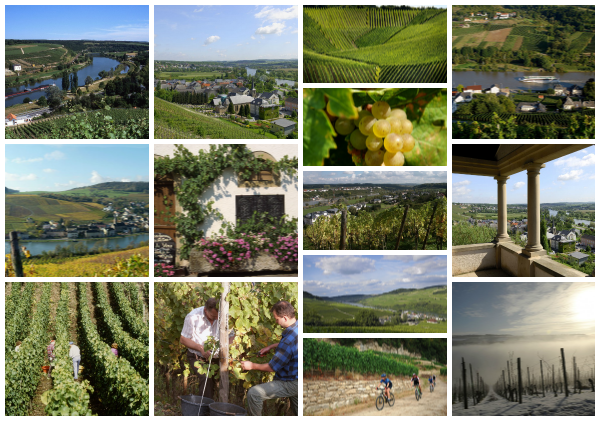 The Moselle Valley: Wine and water! One of the most stunning valleys of Luxembourg, Moselle is famous for its wineries, vineyards, charming hotels, and medieval towns. The Moselle River is one of Luxembourg's major rivers with a trajectory along the Luxembourg border than runs 39 kilometers in length and forms a natural boundary with Germany. Steep hills and vineyards are the Moselle Valley's claim to fame, and it is the birthplace of Luxembourg wines such as Riesling, Auxerrois, and Pinot Gris. You can also find large plantations of fruit trees, which lead to the prodution of juices, liqueurs, and schnapps. If you visit, you can find many themed hikes which will allow you to fully discover this beautiful regions. Equally desirable to the wine and fruit that are a product of this region, are water sports! The Moselle River allows for swimming, water skiing, boating, and even some year-round cruises. South Luxembourg: In the south of the country, you will find The Land of the Red Rocks, or the Terres Rouges region. 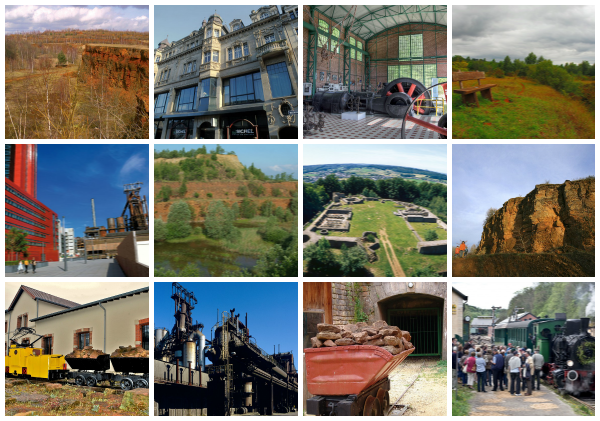 Back in the industrial era, Luxembourg had a successful steel mining industry due to the red ore found in the area. The former steelworks in this area have been repurposed to serve modern times and the region's industrial culture. You'll find more modern, trendy cities that form a youthful, dynamic atmosphere in the south of Luxembourg. Street theater, concert halls (like the famous Rockhal), and rock festivals help form this new, urban complex. The major commercial cities of Luxembourg are here, including Esch-sur-Alzette, Differedange, and Dudelange. The future campus of the University of Luxembourg will be located in Esch-Belval, of the Terres Rouges region. Among the attractioins in this former mining area, there is also a wide range of family and children's activities, such as discovering underground galleries of the old mines of Rumelage via creaking locomotive wagons, or stop by the Parc Merveilleux in Bettembourg to view the crocodiles, parrots, snakes, and monkeys. Cuisine: From the mountains in the north of Luxembourg, you'll find smoked meats, particularly ham and pork, served with beans, potatoes, and local vegetables - including the national dish of Luxembourg, Judd mat Garrdebounene, a traditional smoked collar of pork that has been soaked overnight, then boiled with vegetables and spices. It is then sliced and served with broad beans and boiled potatoes. Trout, pike, and crayfish are the basis for many dishes from the local rivers. There are also many bakeries and patisseries serving local cakes, fruit pies, and pastries, as well as small sugar-coated doughnuts, and äppelklatzen (apples in pastry). The local cheese specialty is kachkeis or cancoillotte, a soft spread. Liver dumplings with sauerkraut and boiled potatoes...black pudding with applesauce, sausage with mashed potatoes and horseradish, green bean soup...the dishes vary from region to region, but the thing that they all have in common is the reliance on local meats, fish, and produce. 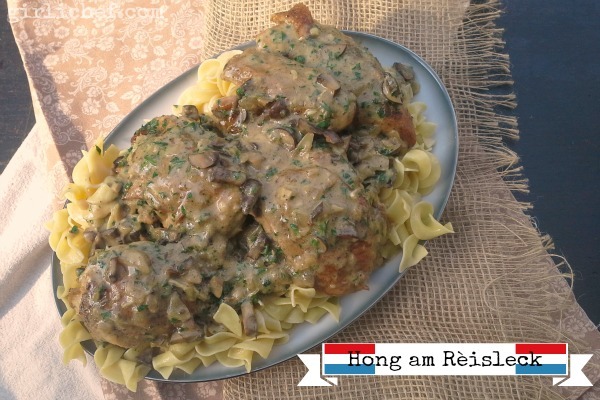 Many dishes are served in a Riesling sauce, made with the local wine from the Moselle Valley I talked about earlier. It is often served over seafood, or in another popular dish, Hong am Rèisleck, which I made today. 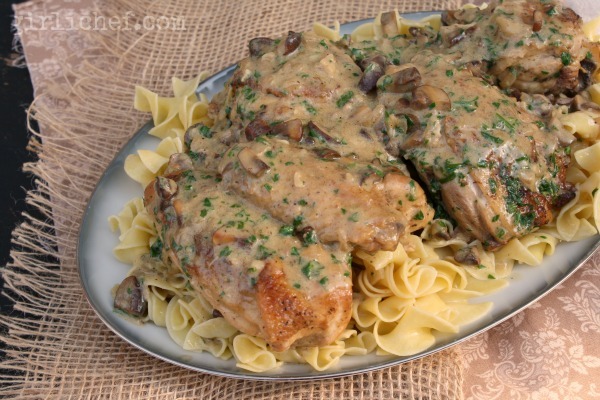 In its most basic form, it is browned chicken with mushrooms in a white wine sauce (similar to the French Coq au Vin). Served over noodles or dumplings, it is simple, creamy and delicious, comfort food at its best. Heat half of the butter in a large, wide pan with deep sides over high heat until hot. Season chicken with a bit of salt and pepper and add to the hot pan, skin side down. Sauté until skin has browned, then flip over. If your pan isn't large enough to hold all of the chicken at once, do this in two batches, removing the first batch to a plate and returning it with the juices it's released back to the pan before the next step. Add shallots and garlic to the pan, and continue to sauté for another minute or two. Carefully add the Cognac to the pan and allow it to almost evaporate. Add the Riesling and chicken stock to the pan, turn heat down to a gentle simmer, and allow to cook for about 20-30 minutes, or until the chicken is cooked all the way through. While this is cooking, put the remaining butter into a pan and sauté the mushrooms until they just begin to turn golden in spots. Add them to the pan with the chicken. Whisk together the flour, heavy cream, and egg yolk; pour over and around the chicken while stirring/moving everything around, and immediately turn off the heat. 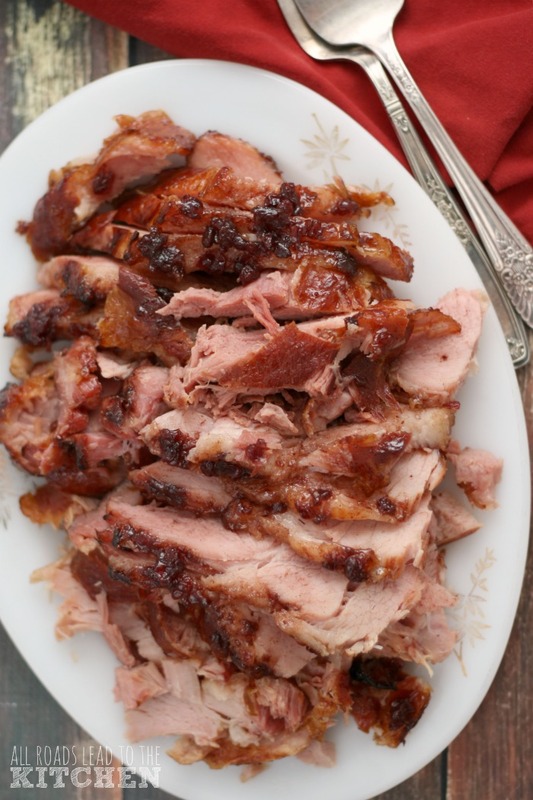 Season to taste with a bit more salt and pepper, and a few grates of fresh nutmeg. Stir in the parsley. Serve hot over hot buttered noodles or with dumplings. 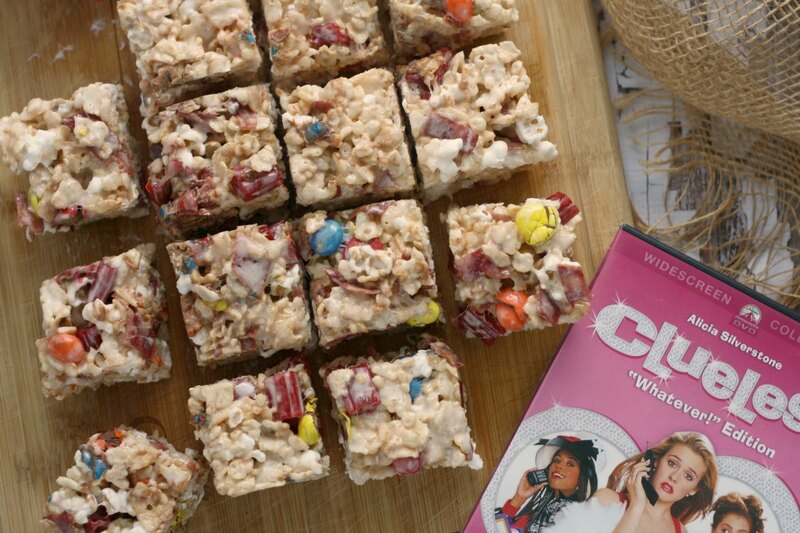 Can't figure out what to make? 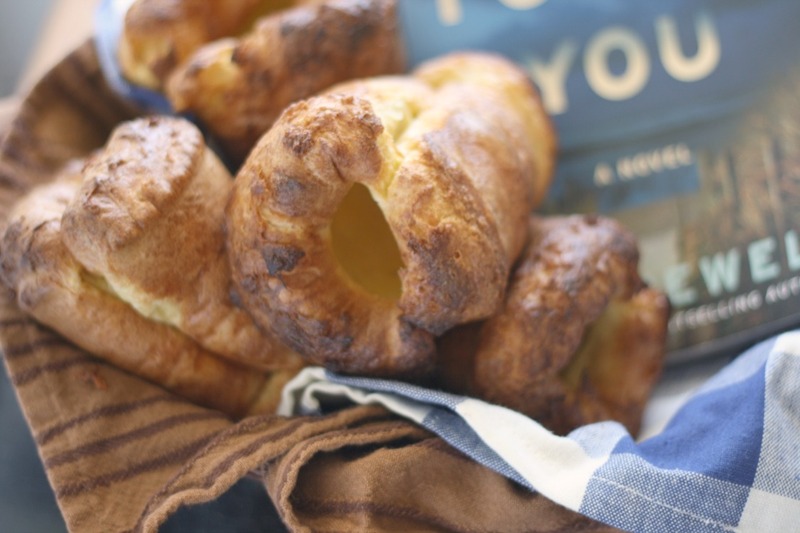 Browse these Recipes from Luxembourg for inspiration! 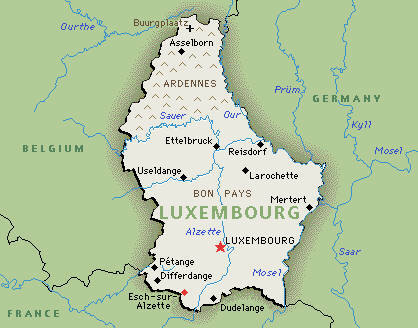 This month on the European Community Culinary ABC's journey we are going to Luxembourg. I am the host this round, and kicking it off with H is for Hong am Rèisleck. Abbecedario Culinario was started by Trattoria Muvara. Do you want to be a part of our culinary journey stop in Luxembourg? In your post, please link to this post and to the Abbecedario Culinario community page (use of logo is optional, but always appreciated). You may link up an older post if you update it with these links. 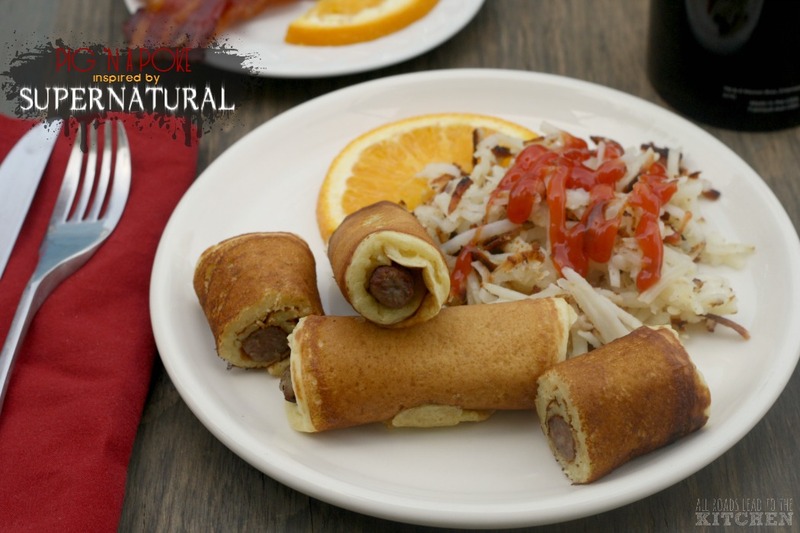 Leave a link to your post in the linky tool below in this manner (Name of dish - Your name from Your blog name) - or in the comment section if you cannot figure it out, and I will add it. Please leave a comment on this post letting me know that you've joined us on our trip to Luxembourg! I can't wait to see what dishes Luxembourg inspires you to make in the kitchen! Quetschentaart (Torta alle prugne del Lussemburgo/Luxemburg plum tart) - Terry from Crumpets & co.